Singer Jessie J is undoubtedly one of the biggest stars to arise from uk soil, and it look like nothing is going to stop her becoming a global sensation. Jessie J exploded on to the music scene in November 2010 with her debut single Do It Like A Dude, which reached number 2 in the charts, and since then the hits have kept coming, Her second single ‘Price Tag’ hit the number one spot, and stayed in the uk charts for 51 weeks, it was a top ten hit in at least 20 countries around the world, the tracks ‘Who Are You’ ‘Nobody’s Perfect’ and ‘Who’s Laughing Now’, kept Jessie J in the top ten throughout 2011 and her latest hit ‘Domino’ is currently at the number one spot. ‘Domino was also released in the US earlier this yea, making her a household name across the globe. So how did the young shy girl from Chadwell Heath, London start her rise to the top? Jessie J, real name Jessica Ellen Cornish, the youngest of three sisters, grew up in London attending Mayf ield High school, she went on to enrol at Colin’s Performing Arts School, and at aged 11 she was cast in Andrew Lloyd Webber’s West End production of Whistle down the wind. Jessie J has admitted that the academic side of school was never her strong point, and was always into writing songs, drawing and doing makeup. At aged 16 she stated attending Brit School in London, along side singers Leona Lewis and Adele, and at 17 she was pat of a girl group named Soul Deep. at 18 years old Jessie J had a set back when she suffered a minor stroke, although she fully recovered from her health scare, Jessie says ” it makes you realise you can’t guarantee life everyday” continuing, she says “it made me appreciate life….i learned to express myself artistically”. Jessie started her career as a song writer and has written songs for artists such as Chris Brown and Miley Cyrus, and was signed to a record label fo a long time before she released her first single, Her singing career has taken flight with full , and it doesn’t look like it will be slowing down any time soon. 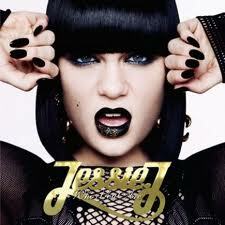 The Debut album from Jessie j titled ‘Who Ae You,was released in February 2011 and charted at number 2 in the UK Album Chart, that same month she won the BRIT Award, Critics Choice Award, and at the end of last year it was announced that Jessie is one of the coaches and mentors on the tv show TV Show The Voice, which she is currently filming. These are some pretty amazing achievements for a woman who isn’t quite twenty-four years old, she definately makes Britain poud.